This year, as our annual conference on LGBT Marketing, Advertising & Technology has grown into an entire week's series of conferences, symposia and forums, we have an incredible line-up of women speaking and presenting at our conference for the first time. 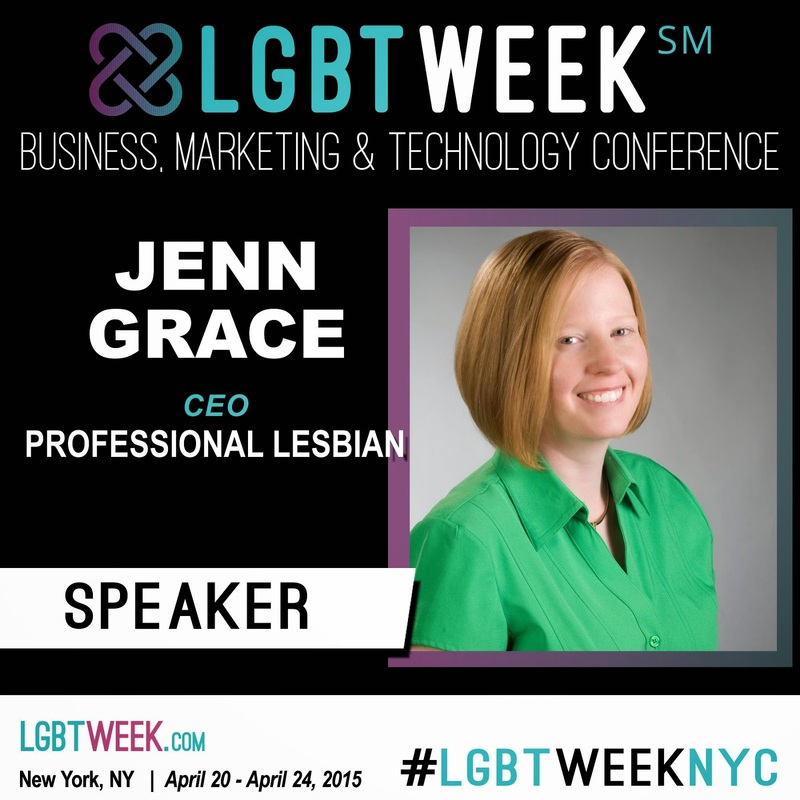 On Monday, April 20th, Jenn T Grace, our community's "Professional Lesbian," leads a series of workshops dedicated to start-ups and entrepreneurs. Along with Diane Conklin of Complete Marketing Systems out of Atlanta and Sarah Prager of Quist out of Washington DC, they will lead our audience through some of the ins and outs of inclusive and integrated marketing and help business start-ups learn more about laying the foundation for their LGBT/LGBT-friendly business. On Monday afternoon, Jennifer Brown, a passionate advocate and social entrepreneur, will be part of the StartOut Entrepreneur's Forum, focusing on continuing to build her company's “triple bottom line”, identifying emerging workplace trends and building more enlightened organizations with her clients. 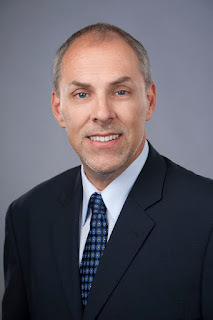 Her areas of expertise include catalyzing diversity to drive innovation and business results, ERG/Affinity Group development, growing leaders in the new global, generationally-diverse and technology-connected workplace ecosystems, and aligning corporate strategy with individual, team, and societal values. On Monday evening, LGBT Week NYC is hosting their first networking mixer/reception of the week at Microsoft's New York headquarters in Times Square, bringing together LGBT Week NYC attendees with StartOut's members and LesbiansWhoTech.org's NYC Happy Hour. 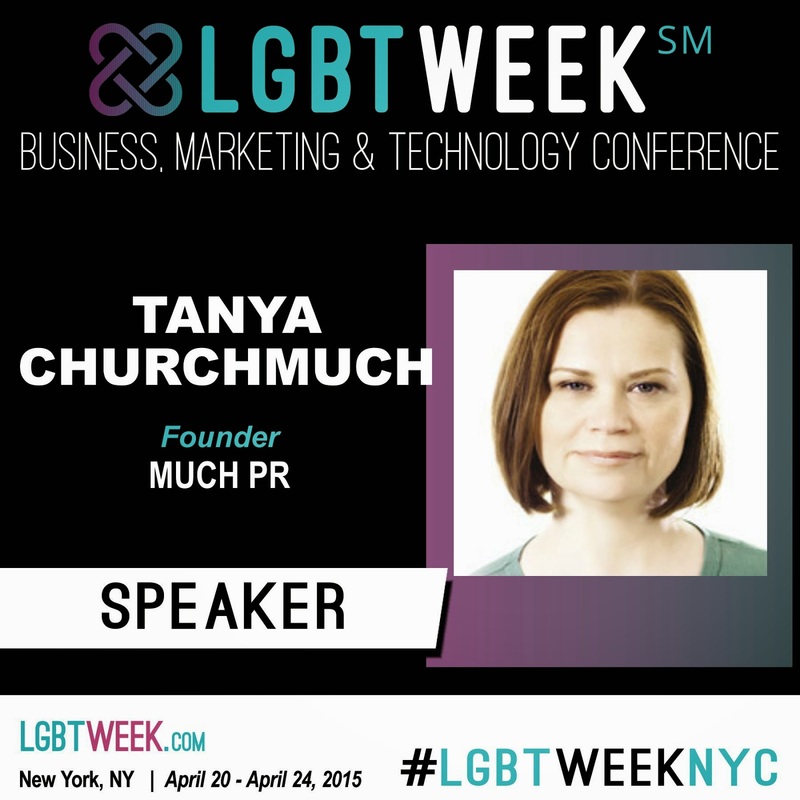 On Tuesday, April 21st, Tanya Churchmuch of MuchPR will be taking a short look back at the history of lesbians in travel, including a look at how lesbians were, for many years, ignored in traditional "LGBT" travel advertising. She will touch on the fact that over the past 5 years, lesbians have been included in more advertising campaigns, but that there is still a lot of room for improvement. In this session you will learn about the potential of the lesbian market and how to reach this market. On Wednesday, April 22nd, we are pleased to offer an entire morning session dedicated to LBT Women, presented by the women of LesbiansWhoTech.org and headed by Leanne Pittsford of LesbiansWhoTech.org and Maureen Erokwu of Vosmaps. Participants will learn the ins and outs of what they need to start and grow their start-up business, touching on the topics of grants, fundraising and interpersonal management skills. They willl also be hearing from a panel of dynamics speakers doing incredible and groundbreaking things in their field for the LBT Women's community. On Wednesday afternoon, the LGBT Family Forum include presentations by Cathy Renna of Target Cue and Kelli Carpenter of R Family Vacations. 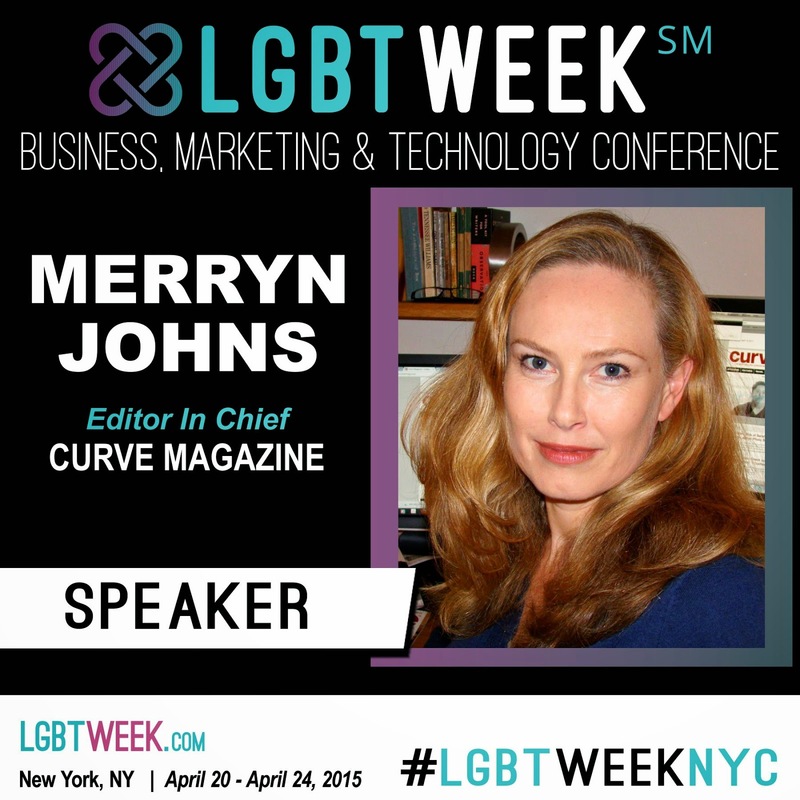 On Thursday, April 23rd, Merryn Johns, Editor-in-Chief of Curve Magazine and Kaitlin Bishop of Rivendell Media, will be presenting on lesbians as a loyal and lucrative market, delving into how to reach, attract, and keep lesbian customers. Their session will look at marketing and advertising from successful campaigns that have targeted the lesbian demographic within LGBT and mainstream media. Using case studies from the sectors of retail, finance, travel, and nonprofit, this session will provide a breakdown of the lesbian consumer demographic and analyze outstanding examples of successful advertising to lesbians. 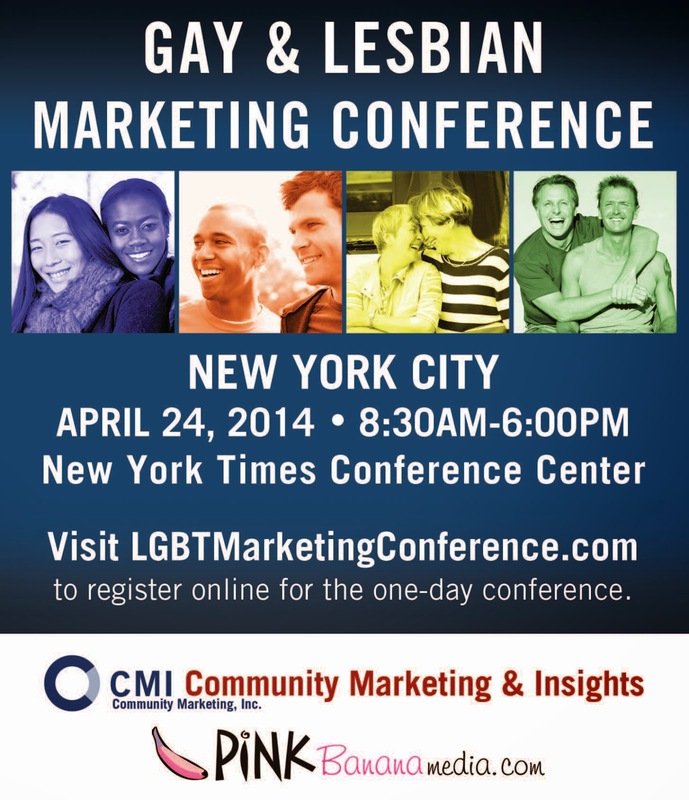 Rivendell Media is the presenting sponsor of LGBT Week NYC! Our other women presenters on Thursday include Rachael Brister of Seattle's GSBA presenting "Stretch Your Marketing Dollars with Community Partnerships" and Denise Spivak of Centerlink presenting "LGBT Community Centers: Lasting Impressions, Great Rewards". 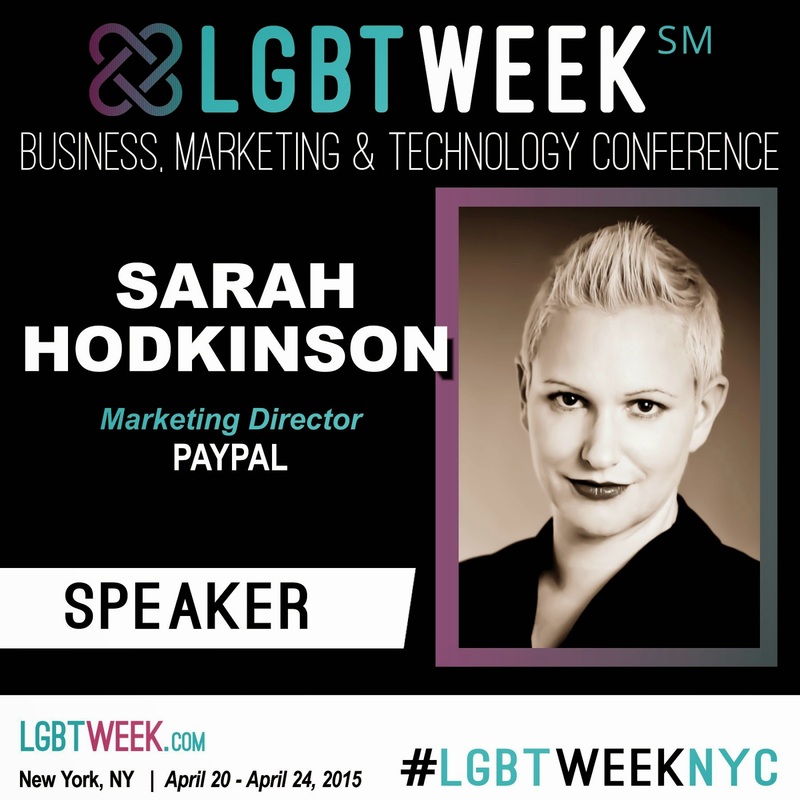 On Friday, April 24th, Sarah Hodkinson of PayPal will be presenting on Lifecycle Marketing: Consumer First. She will be discussing the evolving lifecycle marketing communications, with key topics covered including 1) adopting a 1:1 personalized consumer contact strategy, 2) leveraging data to deliver upon the promise of relevancy, 3) the importance of multi-channel communications, and 4) dependancies to address: people, processes and technology. 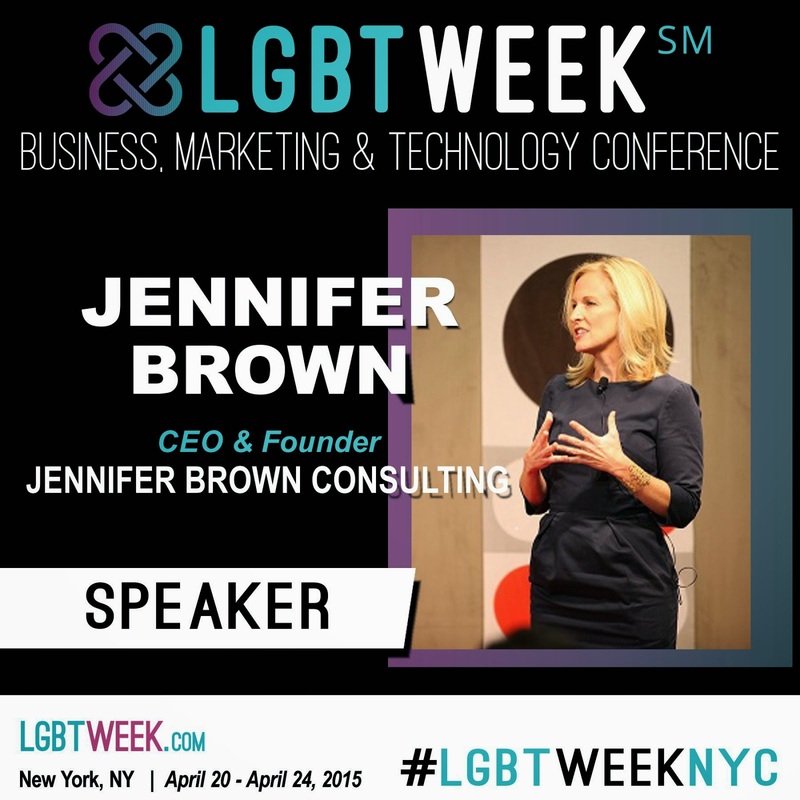 LGBT Week NYC is truly breaking new ground in bringing LBT women from a wide variety of backgrounds and professional disciplines together for one impactful week of Education & Networking: Bringing together the worlds of advertising, marketing, technology and business in the LGBT marketplace. We hope to see you there - www.LGBTWeek.NYC.